It is not often that we associate a health fair with Lao New Year’s, but one community member has found an innovative to way bring the two together, using the temple as the forum. A temple holds a special place for many people and this is also true for the Lao community. The temple serves as the gathering center for many important buddhist ceremonies. Some are celebrations, offerings to our ancestors or a ceremony for passed loved ones. If you visit any Lao temple, you can immediately understand how it forms the foundation and red thread for community members to come together, share, learn and support each other. It is this natural foundation that has given one nurse the opportunity reach out to the community to address important health care issues. Vinai Pongbandith is a RN BSN, PHN working in the Stanislaus and San Joaquin Counties, and an active member in the Lao community. She and other Lao nurses found a creative way to raise healthcare awareness in the Lao community by combining passion for health care, community service, and the preservation heritage. As a registered nurse (RN), I have access to a large amount of health information and data. Growing up in Ceres, California I saw first hand how health disparities, lack of knowledge, language barriers and inadequate health care access affected my parents and the health of my community. According to the 2010 U.S. Census there are over 17.3 million Asian Americans living in the United States, of which, 209, 646 are Lao. Access to high quality health are in the United States is a concern to many people and the Lao population is no exception. Lao people are at greater risk for high blood pressure, diabetes and high total cholesterol. In the U.S., the Lao population is considered a vulnerable population typically at greater risk for poor health status and less access to health care. Lao people are at greater risk for high blood pressure, diabetes and high total cholesterol. Studies have shown that contributing factors include the kind of food and diet of Lao people, which tends to be based on animal protein and rice. Health care deficits and barriers I have experienced in the Lao community motivated me to find ways to help the community that supported me when I was growing up. This same motivation inspired me to pursue a doctorate in nursing from the University of San Francisco. As a Registered Public Health Nurse and a Clinical Nurse Educator, I know that teaching and raising awareness about health care can have a positive results, but to make this successful requires community effort. I was born in a refugee camp in Thailand and raised in the Central Valley of California. We immigrated to United States 1987 when I was 3 years old. My mother is form Bahn Nong Veung near the city of Paksane and my father is from Savannakhét. I am the youngest of five children. As refugees lacking strong English language skills, my family experienced first hand the shortcomings of the healthcare system. The inadequate care inspired my siblings and I to pursue careers in health. Since becoming a Registered Nurse, I have organized health-focused events, including a Health and Wellness Fair for the Lao population in the Stanislaus and San Joaquin Counties since 2013. I currently work at Turlock Nursing and Rehabilitation Center, as an MDS Coordinator (Registered Nurse) and part-time at a private nursing program as an NCLEX/Simulation Manager/Clinical Instructor. 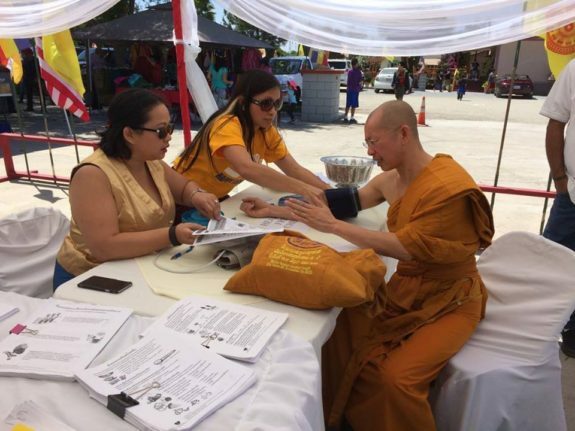 With the support and collaboration of volunteers from the Lao community in the Central Valley, we were able to organize a Health and Wellness Fair during the 2016 Lao New Years celebration at Wat Lao Buddharangsy in Ceres, CA and Wat Lao Buddhist Temple of Visalia, California. The goal of was to promote a healthier lifestyle for the Lao people through awareness, education and empowerment. We want to empower people to reduce the health disparities in our community, by promoting a healthier lifestyle through education and engagement in the Lao language. 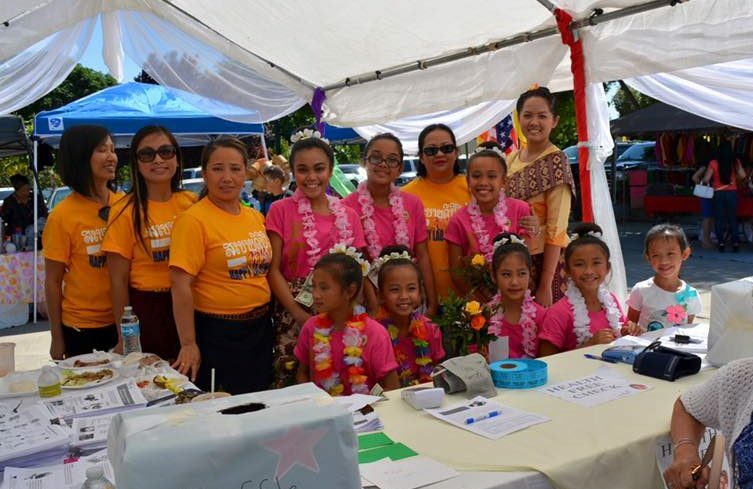 By combining the health fair with the Lao New Year celebrations we were able to integrate cross-cultural education about health care, while celebrating our Lao heritage. Participants received blood pressure screening, and were encouraged to share their results with their primary care provider. Education and resource materials were also provided in the Lao language. Healthcare professionals provided one on one teaching to participants in the Lao language. Both patients and caregivers were given educational materials in the Lao language on how to read food labels, as well as information about how certain Lao food can affect their blood pressure and lead to diabetes. We received positive feedback from the community on how helpful it was to return home with materials to read in Lao regarding important health issues. The mission of the Lao health care professionals of the Central Valley is to help our underserved Lao community. We would also like to hold health fairs that focus on flu prevention, breast cancer screening and vaccination/immunizations. With your support, we can to continue this event at future festivals where our community gathers. For details on how you can join our cause, email me: vinai1028 (at) gmail.com. Much appreciation for all the support and donations from family, friends, and the local business and communities.